Resilience. Being a grown-up. Hanging on to one’s self-esteem. Getting over it. Moving on. Looking ahead. You guessed it. 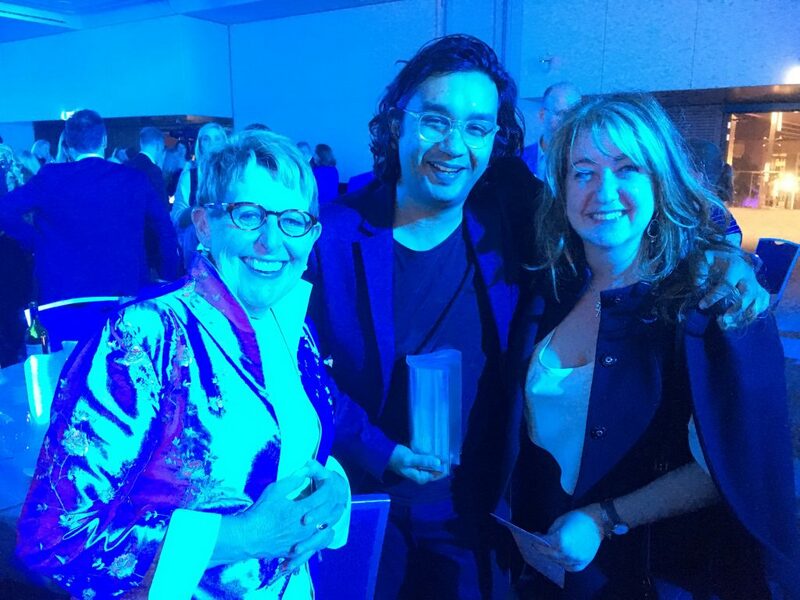 I’m Australian Too didn’t win the children’s book category at the recent Australian Book Industry Awards. Ronojoy Ghosh and I thought—having one book on a shortlist of five— that we were in with a chance. We weren’t. A book about a fart won instead. Congrats to the author. Of course. Graciousness in defeat is essential, especially when you’re old enough to know that politeness is valued at all times. Weeping and wailing and saying, ‘It’s not fair, and who are these judges? And what are their criteria? This is crazy…’ is pathetic. There was, needless to say, a needle of disappointment when the award was announced. I’m human, after all. So is Ronojoy. But lovely things happened almost immediately afterwards, of which more at the end. On the same night, in front of Julia Gillard (for foreigners, she’s our most popular ex-Prime Minister) and in front of Quentin Bryce and Annabel Crabb and Leigh Sales and Tony Burke (foreigners: ignore!) I read the citation honouring Jane Covernton, who was presented with the Pixie O’Harris award for her excellent, long-standing contribution to children’s literature. 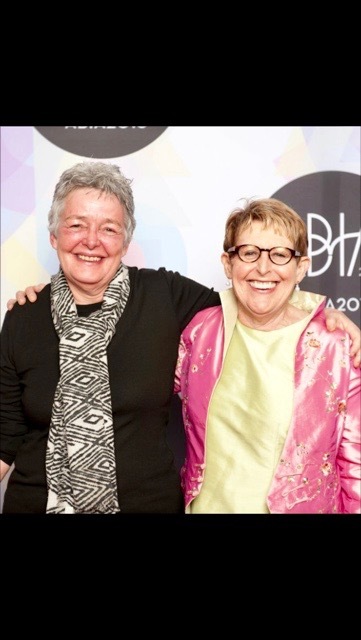 Jane and her partner, Sue Williams, started a tiny publishing company in 1981 called Omnibus Books, and aimed to focus exclusively on Australian authors and illustrators, and Australian content. In 1983 they published Possum Magic. Enough said. Except they went on to publish many other specifically Australian picture books, which are still in print today, including my own Wilfrid Gordon McDonald Partridge. Their early foray into Australian publishing set off a golden age for children’s books in this country. I and many others are hugely indebted to Jane. We wouldn’t be who we have become without her initial gamble on us, as unknowns who’d walked in off the street. Here we are, 35 years later, on the same night of the ABIA awards. But let’s go back to I’m Australian Too. Who needs awards when you have photos like this? It was taken in April at the Adelaide Zoo when United Way held a Zoo Day for underprivileged children. And here’s another one, this time from a school in Queensland. Just gorgeous. 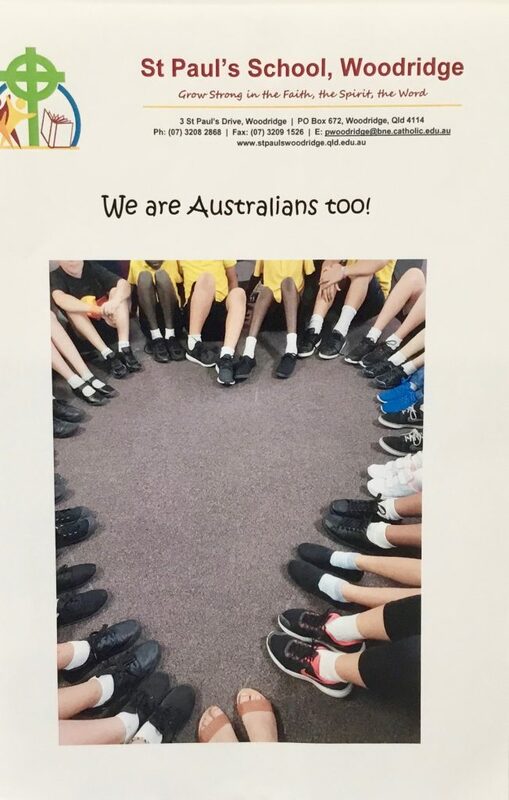 The heart-shape and the different coloured legs echo beautifully the inclusive message of I’m Australian Too. 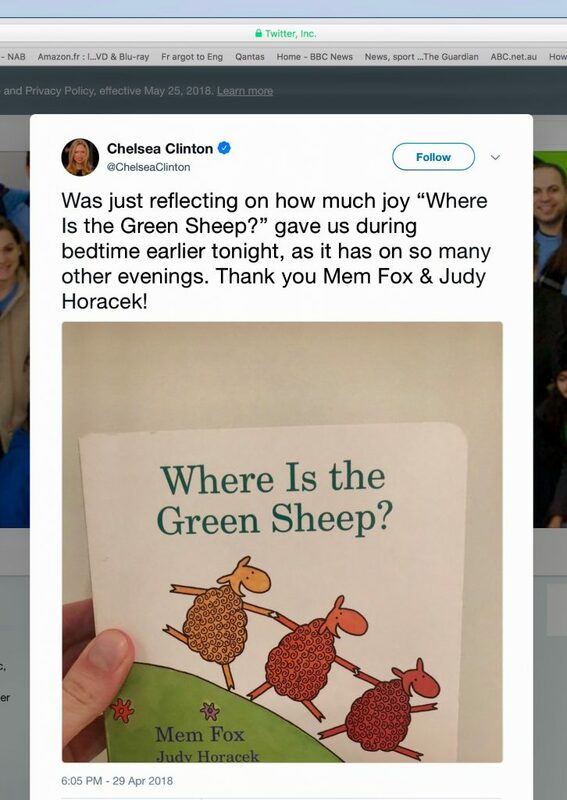 And what better ‘award’ could one receive than this tweet in May from Chelsea Clinton? It was lovely of her to endorse the book out of the blue. Judy Horacek and I are over the moon. I went to bed very happy, and mentally told all award winners world-wide to eat their hearts out. The next morning when I checked out of the Darling Harbour Novotel, the woman behind the counter noticed my name on the credit card. Her eyes widened, literally. It was funny to watch. 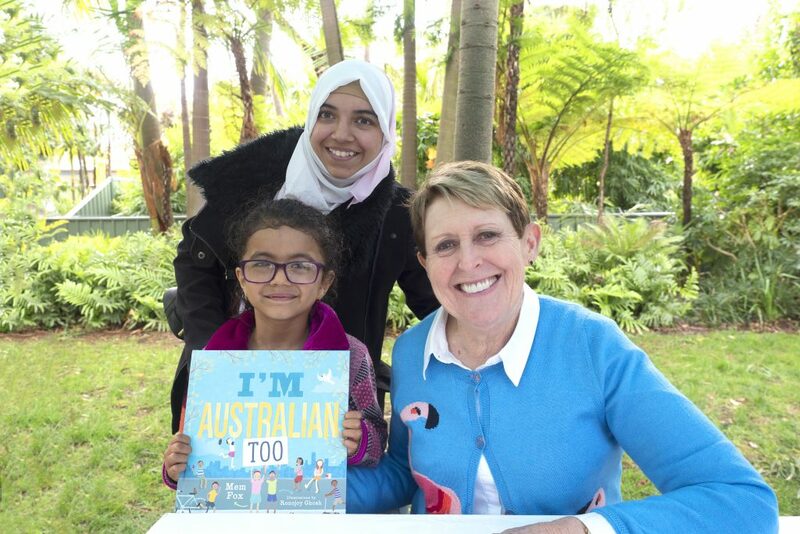 ‘You aren’t the Mem Fox, are you?’ she said. I said I was, and she burst into tears. I mean: BURST! She was beside herself. She was in her late forties. She raved on and on about this book and that, and how her daughters… blah blah blah. Photos were taken. Autographs were written. I was beside myself. Such joy all round. In Maitland, NSW, on Saturday night, ie. two nights later, I had such a long standing ovation before my speech that I got the giggles. And then another one afterwards. It was the 70th anniversary of their pre-school, and a therefore a gala fund-raising event. People had clearly been at the hairdressers for hours. I was glad I’d scrubbed up well myself. I usually look a bit of a dag. Today for example, jeans, boots, a polo neck and a big sweater. I adored the event in Maitland. Small towns are so overwhelmingly appreciative I always wish I could linger longer, but life at home beckons, and my role as Magnificent Hausfrau and Family CEO has to resume. Anyway, the moral of those lovely stories is that it’s better to win hearts than to win awards. Well, that’s how I’m pretending to deal with it, anyway. And, yes, the weather’s changing. Autumn alternates with winter, daily. It can’t make up its mind. But we’re happy. 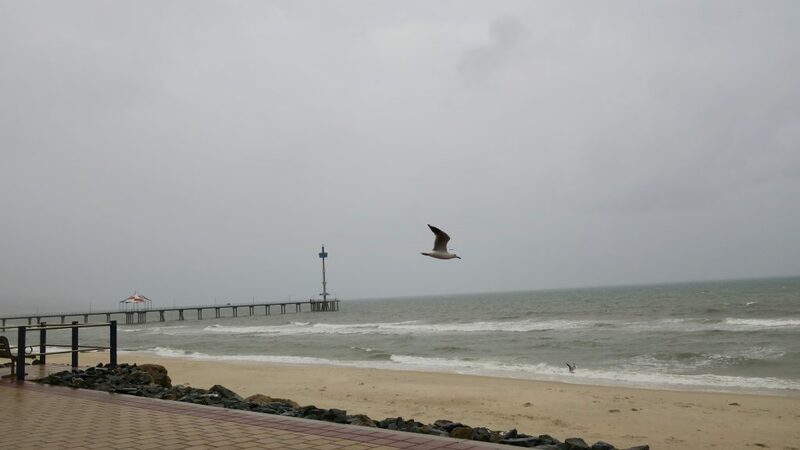 The local beach is lovely in any weather, fair or foul. We’ve had so little rain that our dog and grandchild go mad with fear and delight respectively, at the first sounds of rain on the roof. Elsewhere there’ve been awful floods, the worst in Hobart, Tasmania, for 50 years. And to think that there are still politicians in this country who think climate change is ‘crap.’ So dismaying. But don’t get me started on politics. I want to get this finished today, and politics would take me a week of non-stop enraged typing before I’d said everything I needed to say. And I’m off to Dalby in Queensland tomorrow for a big conference, so I must move on. I may have hinted at this before, but Judy Horacek and I have finished a new book called Bonnie and Ben Rhyme Again. It’s due out in October (2018). I love, love, love this book. I have to confess that initially I’d written a really weak text. Then I saw Judy’s proposed art work: superb! I knew immediately that I’d have to lift my game, so I wrote a brand new version. Actually it was my (by now) highly experienced husband who had pointed out with the frankness that can come only from husbands you’ve been married to for 49 years, that there was nothing magical or original in the earlier ‘final’ draft; there was no ‘Mem Fox’ signature language. He said it could have been written by anyone. Boy, was I mad! I sulked for an hour or two and gave him the silent treatment, which is unusual for me, being of sunny character, and then admitted to myself that he was right (difficult!). I then worked like a fiend for three days, and changed all of it, except the basic plot. Result? Happiness on all sides: Judy, Clare Hallifax the editor, husbands, me, etc. I hope to be allowed to show you a picture of the cover next time I post. Fingers crossed. Last time I wrote I promised a list of books I’d read and loved since January 2017. I keep note of the authors and titles, and award stars to each book: from 0-4. The list below contains the 4-star books only. In case you need a title or two to read, and don’t know which book to try next, do remember that I’m a female reader aged 72. We Baby Boomer women are the most avid readers in the country—book festival audiences are full of us. So if you’re 27 and male you may not find what you want, although I do think a really good book like Tim Winton’s The Shepherd’s Hut will be loved by anyone of any gender, of any age, in any country. There are 24 books in my list. I read 64 novels between Jan 2017 and this very minute (mid-May 2018), which gives you an idea of how sparing I am with my 4-star category. In spite of all the dire predictions about the Death of Publishing and the Death of the Book, it looks as if the publishing industry is still alive and kicking, and publishing some remarkable novels. Till next time, stay warm in the southern hemisphere, and cool in the northern.